Although Tanzania, or more properly the United Republic of Tanzania and Zanzibar, is one of the most poverty stricken countries on Earth, it is an incredibly beautiful place. 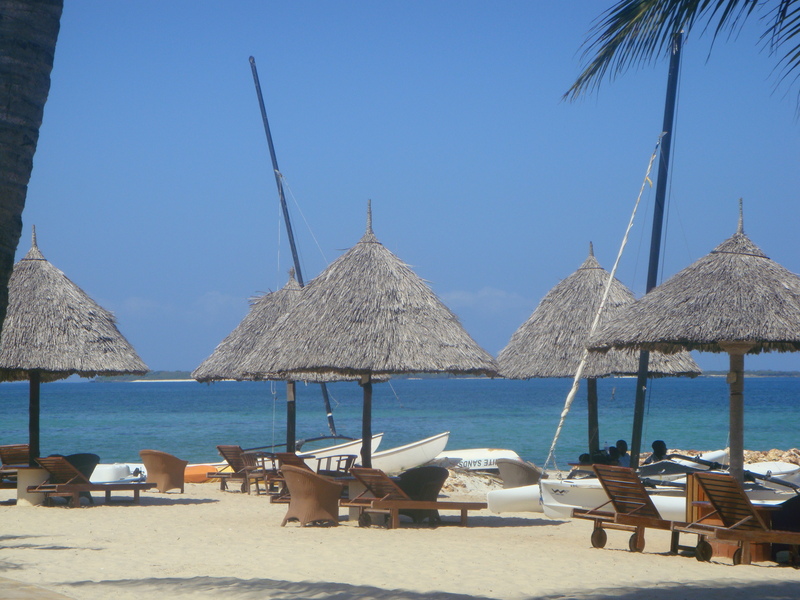 This is an example of one of the luxury resorts on the Indian Ocean just outside the slums and shacks of Dar es Salaam. This area, aptly named White Sands, as well as the so-called Embassy Row are the playgrounds of wealthy, foreign, primarily Caucasian tourists. 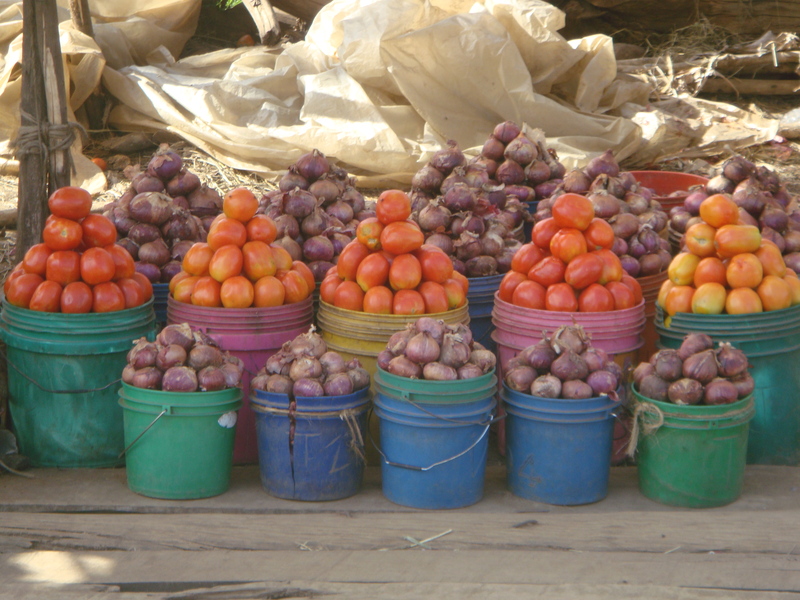 Although the city of Dar es Salaam in Tanzania has grocery stores similar to those found in many parts of the world, roadside markets like this offer great variety and value………..as well as a visual feast!